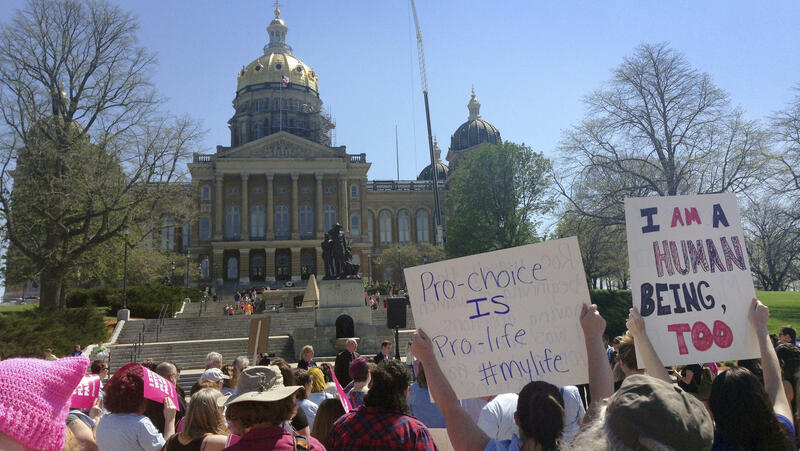 Abortion-rights advocates rally outside the Iowa capitol building in May. A law there banning abortion after a fetal heartbeat is detected is one of several state laws on its way through the courts. When it comes to the issue of abortion rights, the U.S. Supreme Court gets a good deal of attention, but states have a lot of power to restrict and regulate abortion. And now with a newly reconfigured Supreme Court, activists say the stakes are even higher as state lawmakers reconvene this month. NPR's Sarah McCammon has a preview of how the battle over reproductive rights is shaping up in state capitols around the country. SARAH MCCAMMON, BYLINE: Supreme Court Justice Brett Kavanaugh is known for his conservative record. With his confirmation, many abortion-rights opponents see new opportunities to restrict the procedure at the state level. Jamieson Gordon is with Ohio Right to Life. JAMIESON GORDON: The pro-life movement has been talking about a more pro-life-friendly court for years, and we see Kavanaugh really tilting that balance. 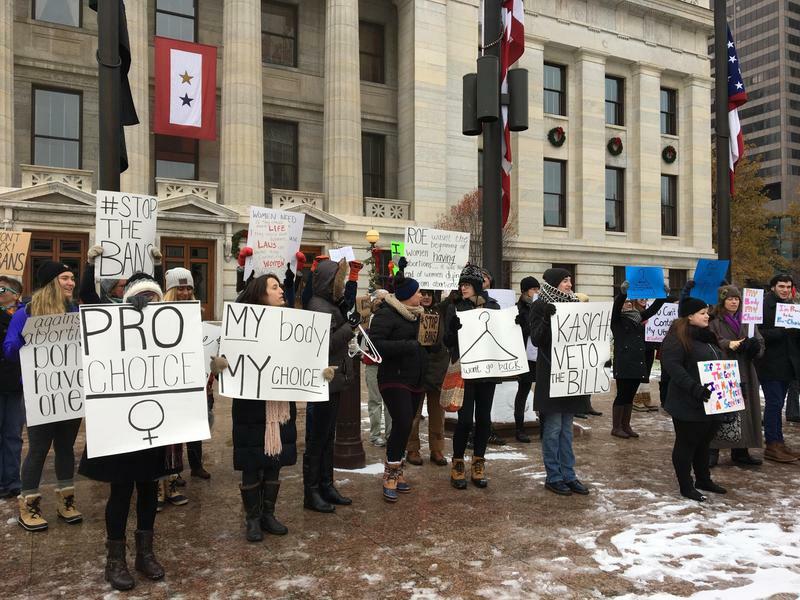 MCCAMMON: Activists in Ohio just pushed through a law banning a common second-trimester procedure called dilation and extraction. Gordon says her group is feeling emboldened and working to pass more restrictions in the new year. GORDON: It really has been encouraging for us, knowing that if our bill was shooed on and it got picked up to go to the court that we would have a more favorable court. So I do think that we've seen the tide turn. MCCAMMON: Abortion-rights advocates are also expecting a wave of bills to be introduced in statehouses across the country. Elisabeth Smith is chief counsel for state policy at the Center for Reproductive Rights. ELISABETH SMITH: We think this will be a watershed moment in terms of the number that are filed, and then potentially the number that will actually be enacted in various states. MCCAMMON: Smith says advocates are working to protect abortion rights, repeal existing restrictions and fight new efforts to limit access to the procedure. SMITH: I think the specter of the Supreme Court will be behind both the proactive bills, in terms of shoring up the right and access at the state level, and on the other side, I think states that are hostile to reproductive rights are going to be jockeying to be the state that sends a law to the Supreme Court. MCCAMMON: Abortion-rights opponents are also watching the Supreme Court, hoping to overturn Roe v. Wade, the 1973 decision that legalized abortion nationwide. Sue Liebel is state director for the anti-abortion-rights group Susan B. Anthony List. SUE LIEBEL: Everybody wants - you know, states want their bill to be the one to go to the Supreme Court. They want to be the one. MCCAMMON: Possible test cases for Roe are already working their way through the courts, including an Iowa law banning abortion after a fetal heartbeat is detected, and one in Mississippi prohibiting the procedure after 15 weeks gestation. Liebel says anti-abortion activists want to pass similar bills in as many states as possible. LIEBEL: And so I think they're hopeful, they're energized and raring to go. MCCAMMON: If Roe were weakened or overturned, more power for regulating abortion would fall to the states. Elisabeth Smith, with the Center for Reproductive Rights, says lawmakers in several states, including Massachusetts and Virginia, are sponsoring bills to guarantee the right to abortion in state law. SMITH: State advocates in Texas have also prefiled a Whole Woman's Health Act. It's unlikely that bill will pass. But again, I think more and more state advocates are bringing up this bill either as a messaging vehicle or to actually get it enacted. MCCAMMON: Abortion opponents say they'll fight those efforts and work to push forward more restrictions on abortion. With the newly configured Supreme Court, those fights are likely to intensify as many lawmakers head back to their state capitols in the coming weeks. Sarah McCammon, NPR News.